Western Cape farm holidays will bring you to an exciting part of the South African countryside for your farmstay. It is an area blessed with Mediterranean weather and fertile soil in the far western and north-western regions that are the main fruit-growing areas in the Ceres and where many wine estates can be found within an hour's drive from Cape Town. Find farm accommodation in the Cape where you can enjoy true South African hospitality while staying on a farm in the Western Cape. However, many of the region’s farms do not always have fertile soil, such as in the Little Karoo. Known locally as the Klein (pronounced Klain) Karoo it’s a dry and hot place in the summer with plummeting night temperatures in the winter. It is a land that is semi-desert and home to a myriad of succulents. Although the dry heat of the Small Karoo may not allow for many types of farming, it does produce wonderful Karoo lamb, the taste of which is unsurpassed. There are many sheep farmers in the area, both for wool and meat, and these families have farmed these farms for generations. Oudtshoorn, a town in this area, is famous for its ostrich farming. And because of micro-climates throughout the area, it is also one where you can find wine farms and wine farm accommodation on your Western Cape farm holidays. The Western Cape is well-known for its Garden Route along the coast. Knysna is a town that holds a lot of charm. It is right on the water's edge and the Knysna Heads and Knysna Forest are two places not to miss. Who knows, you may even be lucky enough to see one of the few remaining Knysna elephants on your farm holiday in the area. Another neighbouring town, that you can visit on your Western Cape farm holidays is Segfield has a farmers market every Saturday morning. Here you will find amazing fresh fruits, jams, meats, baked goods and freshly ground coffee. You will also find the bypass Bloukrans bridge that has the highest bungee jump in the world! For those of you who love the coast, grab a surfboard and head on down to Supertubes in Jeffery's Bay. This is where the famous Billabong Surfing contest is held every year. There are also great surf factory shops here. One cannot leave out Table Mountain, a beautiful and dominating mountain that can be seen for miles and makes a great place to visit by cable car. One word of advice, take care when you are walking on this mountain, because even on a clear day the mountain can suddenly be enveloped in clouds that come from nowhere, and it can be very treacherous as it becomes a pea-soup out there. Just wait a while, and it should lift after a while. At the bottom of Table Mountain lies Cape Town, a lively city that gives you the Victoria and Albert Waterfront, a spectacular flower market and squirrels in the city's gardens. I could go on and on, as there is just so much to see in this province on your Western Cape farm holidays; wine farms, the Cango Caves - which are the best caves I have ever visited - superb coastlines and wonderful nature reserves. In booking farm accommodation here for you farm holiday you have coastal places like Hermanus, Hout Bay and Camps Bay to visit. Then there is Paarl, Stellenbosch, Worcester, and Franschoek for wine estates, among others. Rugged Coastlines north of the Cape and fruit farms in the north-east. The Karoo - our desert area- has a unique beauty; barren stretches of landscapes with blue and purple coloured mountains on the horizon. Spread throughout the Karoo are your road stalls for fresh farm produce. Learn more about Western Cape Produce here. If you are travelling between Cradock and Middleburg you will find the roadside cafe called "Daggaboer". Here you will find great sandwiches to fill a hole. Further down the road in your travels you will come across Hofmeyer. A one-horse town, where the horse died a long time ago and where the Old Vic Hotel can be visited where the walls are plastered with old newspapers from the 1930s. So as you can see, there is so much to see and do on your Western Cape farm holidays that you will never be bored. It was always one of my favourite holiday destinations as a child when I lived in South Africa and I have some wonderful memories of some great farm holidays. Why don't you come and explore this diverse and spectacular region for yourself and spend time on a guest farm or wine farm to experience true South African hospitality? Have a look at our farm accommodation. You will find something to suit both your taste and your budget. 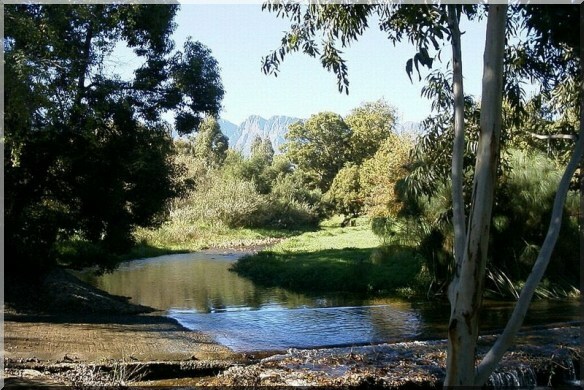 Western Cape farm holidays will give you a unique and relaxing holiday. If you want to explore other regions of the Cape while you are in the area have a look at our pages on Eastern Cape Farm Holidays and on Northern Cape Farm Holidays. If you have a farm in the Western Cape that you would like to showcase visit our Farm Forum. You can upload a picture and brag a little. We don't mind! Share a farming story, tell us about your best or worst farm holiday and lots more. There are other individual farming discussion boards to contribute to through this forum, as well as a Craft & Recipes Forum where you can share your favourite recipes and also get some crafting ideas for various arts & crafts. Find posters to remember your Western Cape farm holidays here.